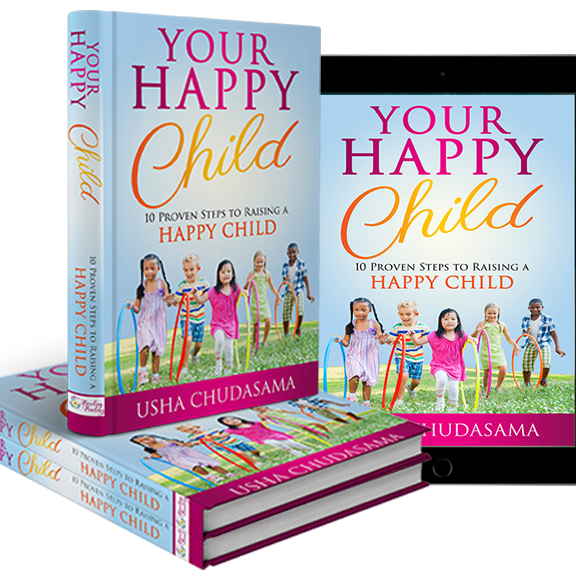 In this book, Usha Chudasama guides and empowers parents and their children – aged five to eleven years old – to shift negative perceptions and build a strong positive mindset. Parenting is a science. This book lays the foundation to build resilience for life’s future challenges. Uniquely, blending the up-to-date theory of positive psychology, neuroscience and holistic practices, this jargon-free book takes you step-by-step through: scripted, fun and practical activities; powerful techniques and strategies; to create the ideal setting for raising a happy and confident child. – use a range of techniques to change your child’s mindset for self-confidence and happiness. – Encourage your child to feel acknowledged, seen and heard so they will feel calm, relaxed and happy. – Create an environment for your children where they can thrive. – Create a family environment, where the foundational message is of love, acceptance and empathy. – Have children who are kind, compassionate, curious and playful. – Be a loving, supportive and nurturing parent with happy, confident and self-assured children. – Provide the optimum environment for your child’s well-being. – Develop your child’s own healthy self-esteem. – Develop your child’s positive mental attitude. – Develop a more loving and nurturing relationship with your child. – Help your child shine from the inside out. – Encourage your child to feel motivated and happier, so they can achieve more in their lives. – Teach your child the skills of happiness, including: courage; creativity; and kindness. – Help your child overcome issues, such as: stress; anxiety about schoolwork; friendship challenges; bullying; or sibling rivalry. – Equip your child with proven strategies, which connect them to their inner guidance and tap into their true potential. Now an Amazon Kindle Best Seller in 2 categories! 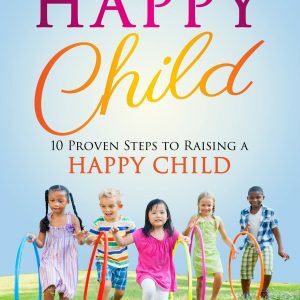 A lovely gift for a mum-to-be would be this beautifully written and accessible book “Your Happy Child“. It is a guidebook for parents to help them repair or maintain their relationships as a family or specifically with their children. Written traditionally but in a way we can all relate to and with particular influences drawn from uniquely, blending the up-to-date theory of positive psychology, neuroscience, and holistic practices. Although equally useful for parents who have been ‘in the game a while’, this is a lovely book to help you understand parent-child relationships before you get there. A new parent could use this as a prevention tool and a way to gear them up for the role of being a parent. The author’s specialism in well-being and therapeutic work shines through in this book – a super tool for all parents! Usha Chudasama is a greatly experienced, talented, qualified and effective therapist. Such qualities are hard to distill in the covers of a book yet she has done an excellent job of capturing and sharing her model in a way parents can easily acquire. In a world where parents are increasingly aware of their impact on their child’s mental and emotional health, yet progressively disempowered by contradictory advice and demands on them, this book opens the way to parent and child enjoying life’s infinite experiences together. As Chudasama’s practice has grown, her method, borne of passion, study and intuition, has become more easily understood and applicable, yet adaptable to each person’s needs and strengths. These pages come from work with even the most difficult and painful cases and her ability to remain in the space of hope, love and fun is the heart of what brings these safe and life-changing practices to life. I am not a parent but have been closely involved with the children of friends and relatives, and have been working and volunteering in work with young people for many years. I hold the view that every child is the collective responsibility of all of us. My perspective of this excellent book by Usha Chudsama is that it should be widely read and bought for parents who want the best strategies for supporting their children through life. Some of my friends are past the stage where this book would have been extremely useful. I will make sure that other friends about to be parents or in the various stages of raising their children gain from both the wisdom and the really practical aspects of this book. I am certain that many parents wish there was a tried and tested manual to raising children especially in these challenging times. Well, here it is! 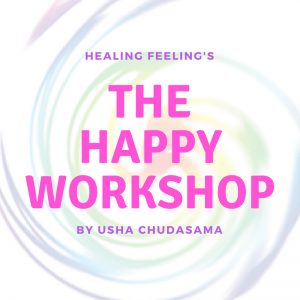 Look no further than Usha Chudasama’s wonderful book ‘Your Happy Child’ which carries a special relaxing energy throughout as well as priceless aids and tools to help children to become happy and confident. Confidence is the underpinning to a happy, successful life. Skills learned at an early age are invaluable. Usha’s book is a precious gift to parents and to children. Heartfelt Congratulations, Usha!